I know I might get a few howls of protest for including auto giant General Motors Company (NYSE:GM) on a list of “blue-chip” dividend stocks given the company’s past failures. But under Mary Barra’s leadership, GM has focused on being a leaner, more profitable company. 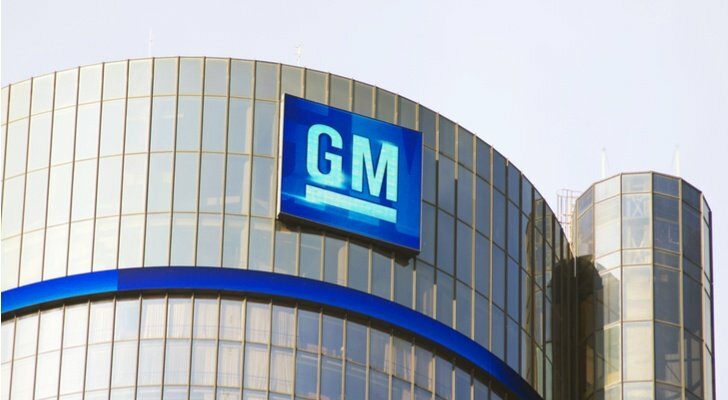 Earlier this year, GM unloaded its slow-growth European business to focus on its higher-growth North American and emerging market businesses. 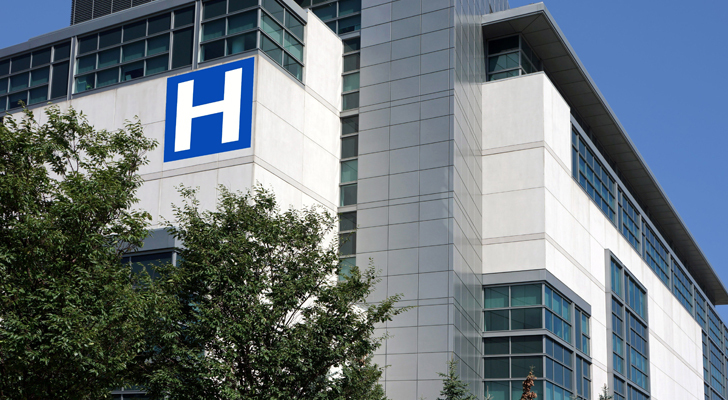 Skilled nursing REIT Omega Healthcare Investors (NYSE:OHI) has taken its knocks of late. The stock is down slightly in 2017 in a market in which everything else seems to be on fire. The reason? Omega’s tenants are highly dependent on Uncle Sam, and specifically on Medicare and Medicaid. And there is a lot of fear and uncertainty that reimbursement rates will continue to come under a lot of pressure. There are also worries that the economy is starting to heat up and that this will lead to higher rates of inflation and higher bond yields. The fears aren’t completely unjustified. The skilled nursing industry is hurting these days, and higher bond yields are a major concern for virtually all REITs, as rising yields mean a higher cost of capital, not to mention greater competition from bonds and other income products. But given that OHI now yields a whopping 8.1%, it would appear that Mr. Market has clearly overreacted here. 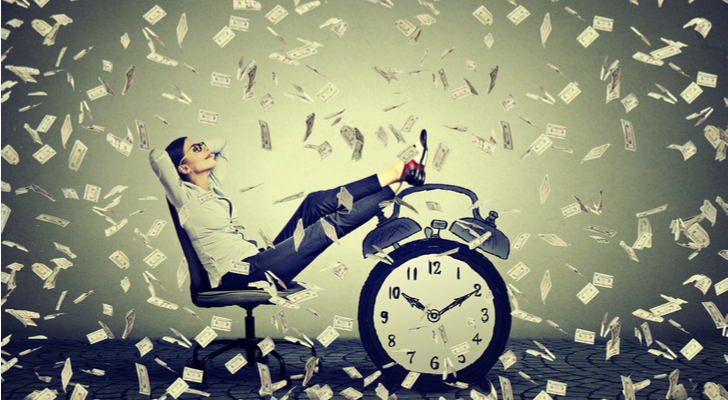 With the aging of the Baby Boomers, skilled nursing is a growth business that should be able to survive and thrive, come what may from reimbursements. And while rising bond yields would potentially be a real problem, I have yet to see any real indication that they are imminent or likely. Yields have actually been declining for most of 2017. And in the meantime, OHI continues to deliver for its shareholders, raising its dividend for 14 consecutive years (and counting). The market will eventually reflect the value here. And while we’re waiting for that to happen, we can continue to collect its fat 8.1% dividend. Well, assuming the tax cuts are passed, one of the biggest beneficiaries would be consumer gadget maker Apple Inc. (NASDAQ:AAPL). Apple already pays a low effective tax rate due to its large amount of foreign sales and its creative tax accounting. But a byproduct of this is that Apple has nearly a quarter of a trillion dollars in cash sitting in foreign bank accounts. 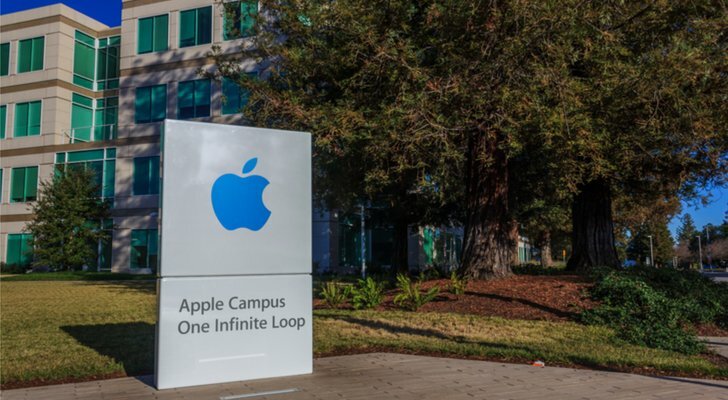 At current tax rates, Apple’s offshore tax is effectively dead money. But a proper tax cut would potentially free up tens of billions of dollars to be used for hiking the regular dividend, paying a special dividend or going on an outright buyback spree, all of which would be great for Apple shareholders in 2018. 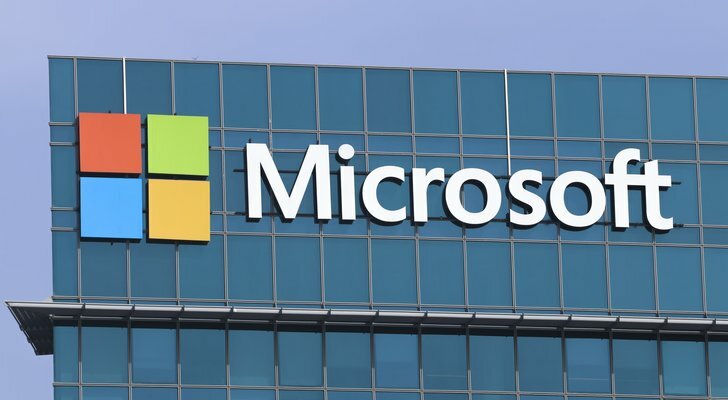 Like Apple, Microsoft Corporation (NASDAQ:MSFT) has a ton of cash parked offshore that it will likely be moving back home when (if?) we get corporate tax reform. Microsoft has an estimated $126 billion in foreign bank accounts. That’s nice and all, but I’m enthusiastic about Microsoft’s prospects in 2018 for a very different reason: It’s one of the few players out there that can really compete with Amazon.com (NASDAQ:AMZN) in the cloud. Amazon’s AWS still has a much greater market share than Microsoft’s Azure (34% vs. 11%, respectively), but Microsoft is growing its market share at a faster rate. But even if Microsoft never fully catches up with AWS, its growth prospects are nothing to take lightly. Industrywide, cloud and software-as-a-service revenues are expected to grow at a 23%-29% clip over the next five years. 2017 has been a great year for all things related to the cloud. I expect that to continue in 2018, and I expect Microsoft to be a major beneficiary. At current prices, MSFT yields a modest 2.2%. But Microsoft has been growing its dividend at a 15% clip over the past five years, and I see no reason to believe the next five years won’t look even better. There are fewer stocks out there that benefit more from the aging of the Baby Boomers than pharmacy chain CVS Health Corp (NYSE:CVS). Aging populations consume more prescription drugs as well as over-the-counter remedies. 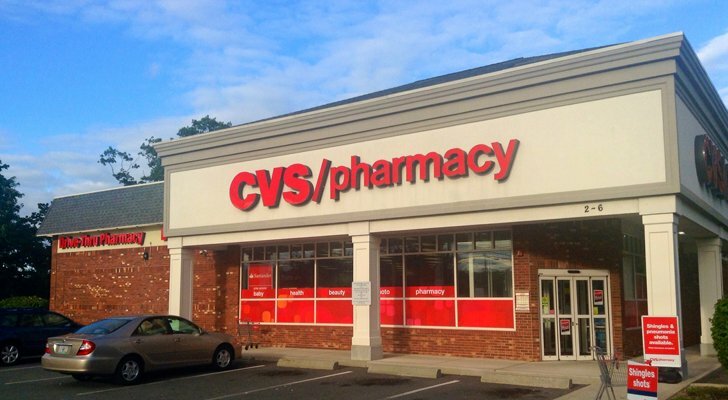 Of course, CVS is more than just pharmacies. Among other things, it also operates Minute Clinic convenient care centers, which allow patients to avoid the costs and waiting time associated with a trip to a primary care physician or emergency room. With healthcare and insurance costs continuing to spiral out of control, cheap walk-in clinics get more valuable by the day. CVS has been a fantastic dividend stock, boosting its dividend at a 27% annual clip over the past 10 years. At current prices, it sports a yield of 2.8%. 27% annual dividend growth is not a realistic goal for the next 10 years, as today’s dividend payout ratio is nearly 40% (compared to less than 10% a decade ago). But I still expect dividend growth to be comfortably in the double digits, which would easily make it one of the fastest dividend growers in the S&P 500. 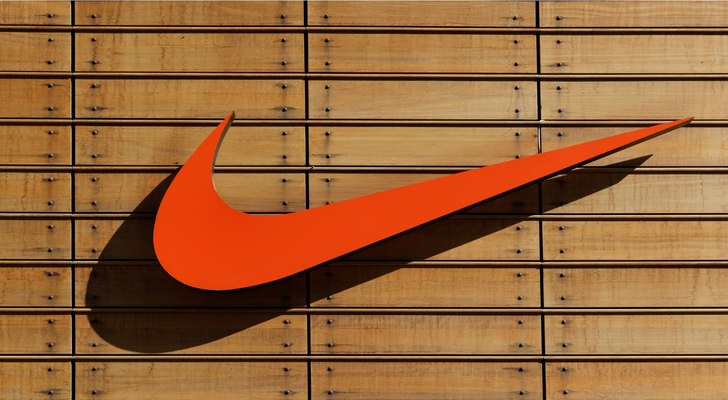 Nike Inc (NYSE:NKE) is probably the world’s best-known athletic brand, and it has successfully fought off newcomers like Under Armour, Inc. (NYSE:UAA) and Lululemon Athletica inc. (NYSE:LULU). Yet you really wouldn’t have guessed it from looking at Nike’s stock price, which is down over 20% from its 2015 highs … at a time when most stocks have been going straight up. Part of this is due to the bearishness towards most retail stocks these days, some of which is deserved. And some of it is no doubt due to the fact that Nike finally has a worthy adversary in the form of Adidas (OTCMKTS:ADDYY), whose shoes have been taking U.S. market share away from Nike. But Nike is still the premier American athletic brand, and that’s unlikely to change anytime soon. Meanwhile, Nike has also been a consistent dividend hiker for years. Over the past 10 years, the company has raised its dividend at a 13.4% clip, and its growth rate has actually been higher in recent years. I can’t tell you when the shares will bottom out, but I can say with confidence that 2018 should be a better year for Nike. If there is one positive about Hurricanes Harvey and Irma, which caused untold damage to houses in Houston, Miami and surrounding cities, it would be that hundreds of thousands of American homeowners will get the opportunity to do a little remodeling. Or at least that’s the narrative driving shares of home improvement chains like Lowe’s Companies (NYSE:LOW) higher. But the story actually gets a lot better than that. You see, the Millennials have a problem. They’re finally growing up and starting families… but new homes are largely unaffordable for them at this stage of life. So, they’re instead buying homes that need a little work in older neighborhoods. This is fantastic news for Lowe’s, as this trend likely has another decade or more to play out. Meanwhile, the stock has been a dividend-raising powerhouse, boosting its payout by 20% per year over the past 10 years. Lowe’s dividend payout ratio is now 41%, so the company may decide to slow down its dividend growth slightly in the years ahead. But among large caps, I still expect to be one of the fastest dividend boosters you’re likely to find. Slow and steady wins the race. I can’t say that that is the official motto of pipeline giant Enterprise Products Partners (NYSE:EPD), but it probably should be. In an industry often criticized for cowboy capitalism, Enterprise Products has been a model of prudence. The company has avoided the debt binges that caused so many problems for so many of its peers, instead choosing to fund more of its growth organically. And it’s hard to say it hasn’t worked. EPD is one of the largest operators of crude oil, natural gas and natural gas liquids pipelines, with over 50,000 miles of pipeline assets. It has also managed to amass 260 million barrels of storage capacity, 26 natural gas processing plants and import and export terminals to boot. Enterprise Products’ distribution growth has been as consistent as the oil and gas that flow through its pipelines. It raised its distributions by 5.2% last year… and 5.3% over the past three years… and 5.8% over the past five and ten year periods. I’d be willing to bet a good sum of money that EPD will continue to grow its distribution at between 5% and 6% per year from now until the end of time, and at today’s prices you’re getting a 6.3% current yield. Master limited partnerships have had a rough year following a solid 2016. I’m betting they turn it around and return to their outperforming ways in 2018. Not all pipeline operators are as smooth as Enterprise Products Partners. As a case in point, consider rival midstream giant Kinder Morgan Inc. (NYSE:KMI). For substantially its entire existence, Kinder Morgan has been a much more aggressive dividend grower than Enterprise. But the company’s zeal for dividends ended up being its undoing, and Kinder Morgan is still trying to repair its reputation nearly two years after cutting its dividend in 2015. I believe the negative sentiment towards Kinder Morgan is vastly overdone. After all, if the company’s biggest crime is wanting to pay its shareholders too generously, that’s certainly something I can forgive. And Kinder Morgan certainly learned its lesson from the experience. Over the past two years, it has become a much more conservative company, funding its expansion with internally-generated cash flows rather than via new debt. And after successfully getting its debt load into more comfortable territory, Kinder Morgan is finally ready to raise its dividend. Kinder will be bumping its annual payout from $0.50 to $0.80 next year, and plans to push it to $1.25 per share by 2020. That amouts to a 60% increase next year and 25% annual growth for the two following years. Midstream pipeline operators may not be the investor darling they were a few years ago. But frankly, I don’t know of too many other places you can expect to get this kind of dividend growth in 2018. 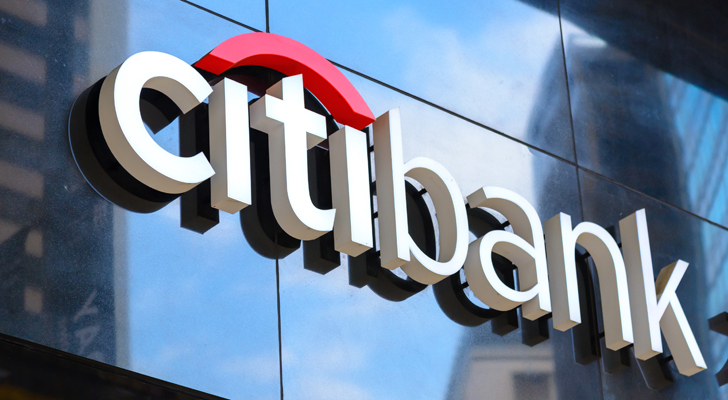 And finally, I’d recommend shares of banking giant Citigroup Inc. (NYSE:C) as a top dividend stock for 2018. Citi isn’t a particularly well-run bank. If it were, it wouldn’t have blown up in 2008 during the mortgage crisis. And even among its “too-big-to-fail” peers, Citi is far from the best in class. But it’s definitely cheap, trading at just 0.9 times book value. And after a long drought, Citi is aggressively raising its dividend again. The bank doubled its dividend this year after getting the Fed’s blessing, and it raised its stock buyback plan to boot. And here’s the best part. Even after doubling the dividend, Citi’s dividend payout ratio is an extremely low 24%. Citi could literally double its dividend again tomorrow, without any change in earnings, and its payout ratio would still be very modest. Financials are a politically sensitive sector whose fate is often determined by things outside their control, such as regulation and Fed interest rate policy. But if you think the economy will remain healthy in 2018, banks are a good place to be. A strong economy makes further rate hikes likely, which is in turn good for bank profits … and dividends. As of this writing, Charles Sizemore was long GM, OHI, AAPL, MSFT, EPD, KMI and C stock. Article printed from InvestorPlace Media, https://investorplace.com/2017/10/10-blue-chip-dividend-stocks-to-buy-for-2018/.